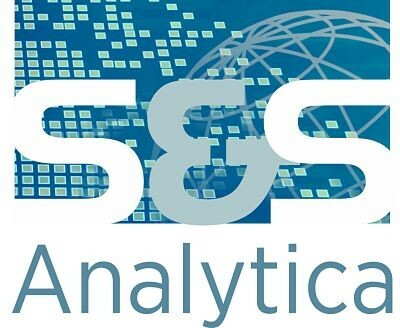 S& Analytica is a publisher and researcher focused on the financial services sector. We publish a biennial title that gives a comprehensive overview of the South African non-life (short-term) insurance industry. The first edition of our popular franchise was titled Short Term Insurance in South Africa 2016, released at The Insurance Conference held at Sun City from 24-27 July 2016. Our second publication, titled Everything you need to know about non-life insurance in South Africa, was launched at the 2018 African Insurance Exchange, again held in Sun City, from 29-31 July 2018. Liz Still has written about investments and the medical scheme industry for over 20 years. In 1998, 1999 and 2000 she wrote ‘Profile’s Unit Trust Handbook’, a beginner’s guide to unit trusts. As a result of this work she joined equinox.co.za, an online investment company as Head of Research and Web Editor; a position she held for 12 years. This involved interviewing unit trust fund managers and writing about the investing and regulatory environment for the company website. During this time she was also an investment committee member for the Equinox Fund of Funds portfolios and a trustee of the Equinox Retirement Fund. While studying for her CFP ® qualification she identified a need for a guidebook on the health sector in South Africa and proposed this idea to Profile Media. This gave rise to the publishing ‘Healthcare in South Africa’, an annual handbook now in its10th edition. Liz is a research and media consultant to selected health sector and wealth group clients and over the years has worked with a leading medical scheme, a hospital group and two asset management and advisory firms. She has also been a television guest on a number of programmes as an independent commentator on both the unit trust sector and the health sector. The CFP qualification was never completed but remains on the ‘to do’ list. Gareth Stokes is a specialist finance writer who has written on countless topics in insurance and investment. He started his writing career as the managing editor for Fleet Street Publications (FSP) where he produced monthly investment newsletters including the prestigious ‘Zurich Club’ – later ‘SA Investor’ – and the share tipping sheet, ‘Red Hot Penny Shares’. In 2006 Gareth self-published a book titled ‘Fear, Greed and the Stock Market’, which was a basic guide to investing in ordinary equities through the JSE. After leaving FSP in 2007, Gareth embarked on a freelance writing career. He continued to write extensively for FSP and worked as the first editor of its weekly finance digest, ‘Money Week SA’, which was for a time distributed through news agents countrywide. Gareth also worked on the firm’s weekly newsletter, ‘Investor’s Digest’, which shared new ideas in value investing with its subscribers. Aside from contributing to a number of sponsored features in the Mail & Guardian and BDFM Gareth’s main line of work was with Insurance Publications cc as the editor for fanews.co.za. Over the six years beginning 2007 Gareth contributed between four and seven articles to Insurance Publications cc each week, covering diverse financial services topics under the financial planning, healthcare and insurance disciplines. He also contributed to two fortnightly ‘blogs’ titled ‘Stokes’ Stage’ and ‘Straight Talk’ where he shared general economic and socio-political views with readers online, often specific to the financial services sector. On the back of this writing Gareth was shortlisted as a finalist, in multiple years and for various categories, in both the Sanlam and Citadel financial journalism awards. In 2013 Gareth accepted a full time post as the Communications Manager for the Financial Intermediaries Association of Southern Africa (FIA) where he acted as editor, publisher and occasional writer for the intermediary magazine, FIA Insight. He contributed to regular columns in the UK-based risk management publication, Commercial Risk Africa, for which he won the 2017 Continental Re Pan-African Reinsurance Journalist of the Year Award. Gareth started his own professional content and communication firm, Stokes Media Group, in October 2017.